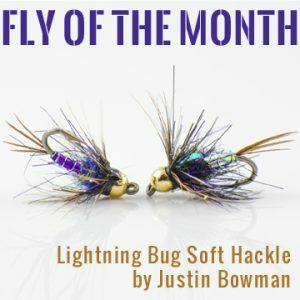 This entry was posted in Fly of the Month, Fly Tying Materials & Supplies, Fly Tying Tips & Tools and tagged fly of the month, fly tying instructions, fly tying materials, fly tying recipe, fly tying tips, lightning bug fly, soft-hackle on March 31, 2017 by Justin Bowman. The term is almost cliché, in a number of different pursuits. With far more frequency than one would expect, a rookie sometimes manages to do with apparent ease what the more experienced practitioner finds to be quite challenging. This would be frustrating enough, but often the novice rubs salt into the wound by saying something like, “I don’t see why everyone thinks this is so hard to do.” Beginner’s Luck seems to affect fishing in general, and fly fishing most of all. This entry was posted in Fly Fishing Life, Mary Kuss, PA Fly Fisher, Our Regular Contributors and tagged brown trout, fly fishing, fly fishing life, Letort Spring Run, trout fishing on March 27, 2017 by Mary Kuss.